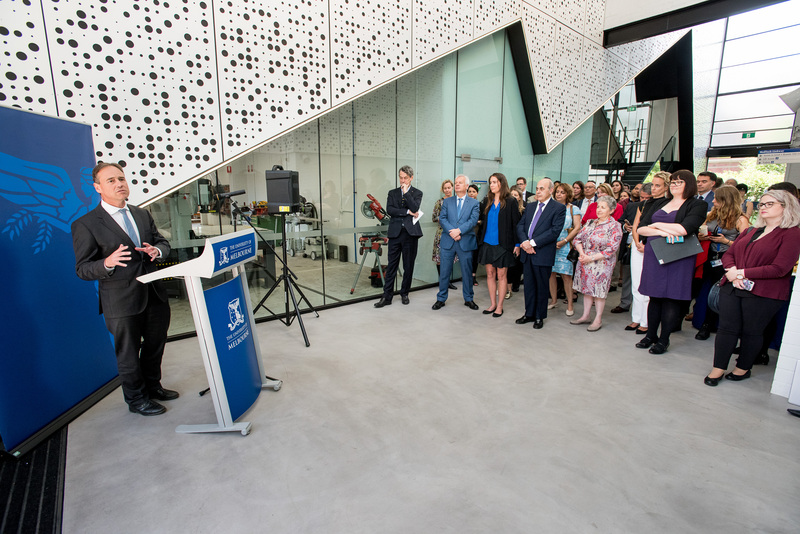 On the 15 March 2018, the Minister for Health, Greg Hunt officially opened the Computer Assisted Rehabilitation Environment (CAREN) in the MedTech Linkway. 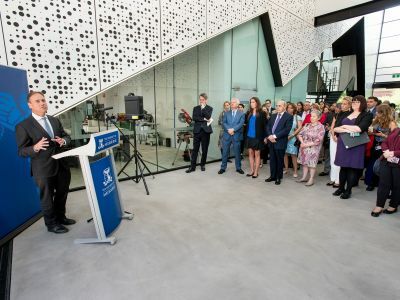 The CAREN brings together biomechanics, computer science and neuroscience to analyse human movement and performance in real-time.The applications of the data generated from the CAREN are immense and has the potential to improve lives by assisting patient's regain their mobility. 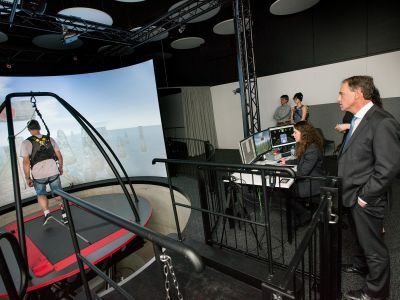 Using sensors and motion capture cameras, the CAREN is able to generate a three-dimensional computer model of a patient's body as they walk on a treadmill. 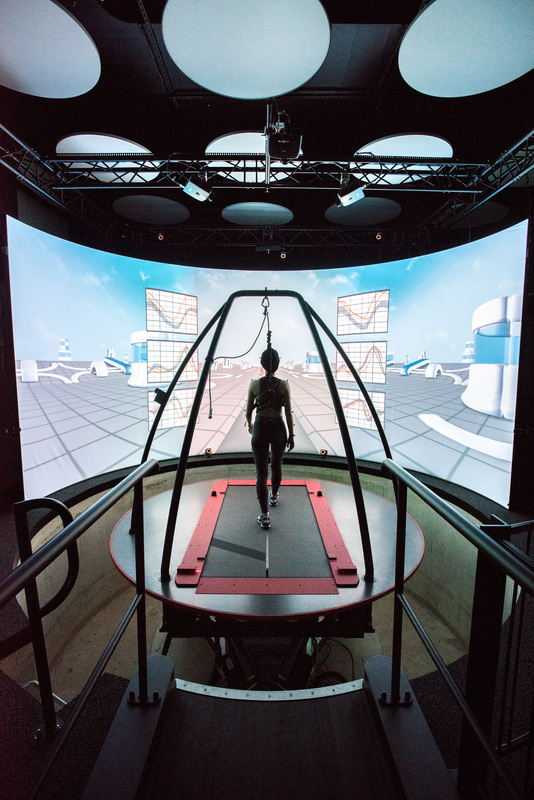 This gives visibility to researchers on the amount of join motion and muscle loading placed on the limbs in real-time. 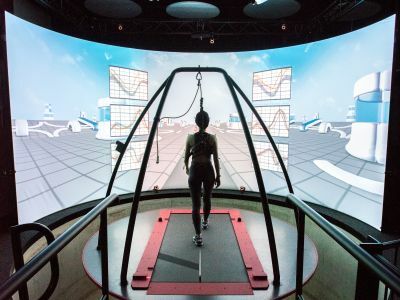 With the ability to simulate a virtual reality environment such as city street, forest and park, the CAREN has the advantage of being able to safely create unplanned perturbation to mimic the experience of tripping and slipping. These data points inform an analysis of the muscles, joints and brain activity utilised during movement. 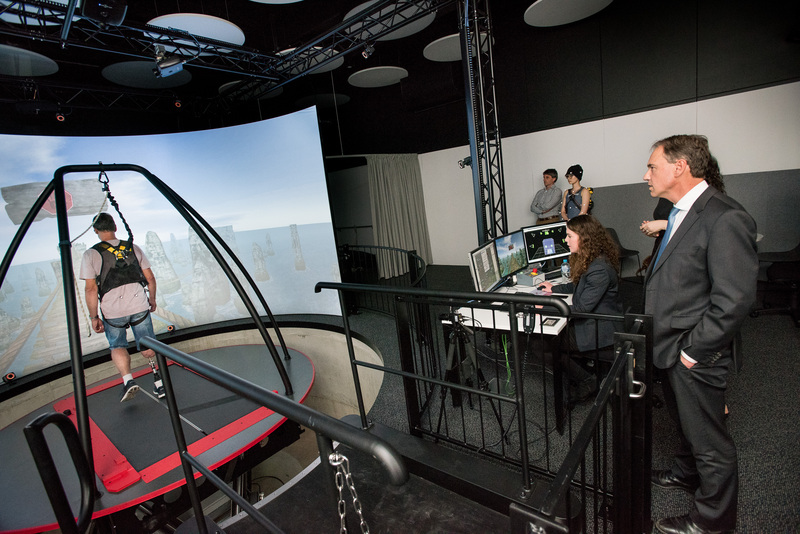 CAREN enables the evaluation of a patient's joint motion for example following a a joint replacement or the experience of a stroke and the impact of rehabilitation to mitigate a patient's balance and fall risk. View a video of how the CAREN works.